Hello. I am a clinical practitioner. I am graduate of Illinois State University and Howard University. I hold a license as a Licensed Clinical Social Worker (LCSW) in the state of Alabama, Florida, Georgia and South Carolina. I am also a National Certified Master Addiction Counselor (MAC). I have extensive experience working with adults. I have worked with clients in a variety of treatment sessions including private residences, group homes, residential treatment facilities, psychiatric hospitals, long-term care facilities and in-clinic in private practice. I have had the pleasure and privilege to work with clients on a wide assortment of issues including but not limited to addiction, depression, divorce, relationship challenges, life changes and problems on-the-job. My counseling style is eclectic, tailored to each client's unique needs. I typically draw from Cognitive Behavior Therapy (CBT) but may pull from other treatment models (e.g., Family Therapy, Gestalt Therapy, Person-Centered Therapy (PCT) and Solution Focused (brief) Therapy (SFBT)). At the core are compassion, affirmation, exploration and trust that help reshape emotional experience, understanding and behavior. I have helped countless of clients overcome their issues and improve their overall wellbeing. Please allow me to put my skills and experience to work for you. Together we can discuss and work through your issues. 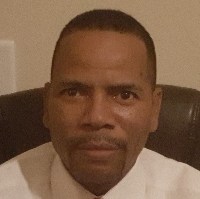 Would you like to write a review for Willie Campbell? We'd appreciate if you can spend a couple of minutes to write a short review for Willie Campbell (MSW, MAC, LCSW). This review would be shared with Willie Campbell. It may also be posted in our website or in Willie Campbell's profile but it would be anonymous and your identity would be kept completely confidential.